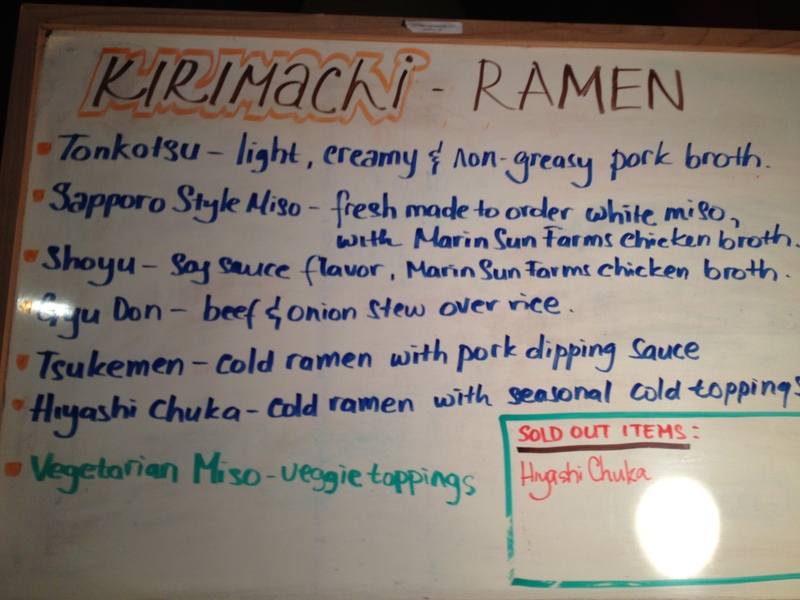 Kirimachi Ramen is a pop up ramen shop in North Beach. We had the ScoutMob deal $5 off, what a steal. 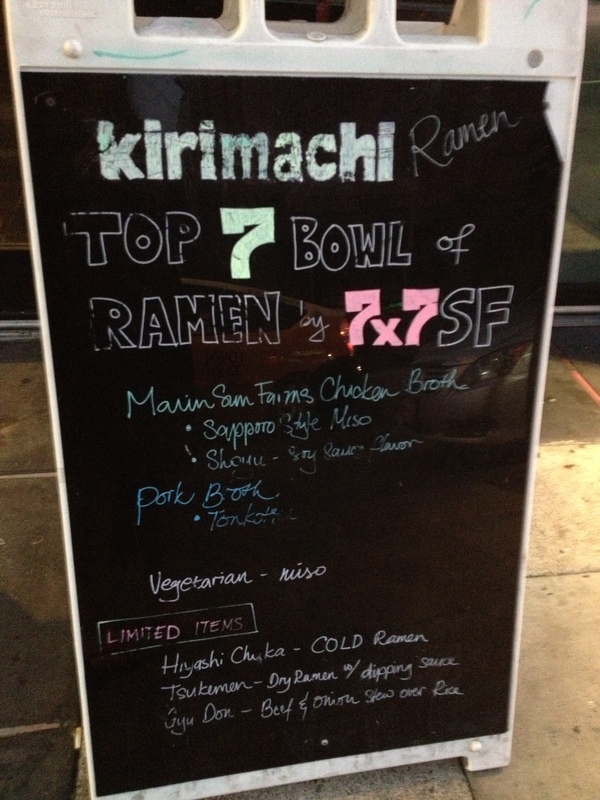 As advertised, Kirimachi serves one of the Top 7 Bowls of Ramen by 7×7 SF. There is a limited menu, but the soup base is flavorful and warming, really good. 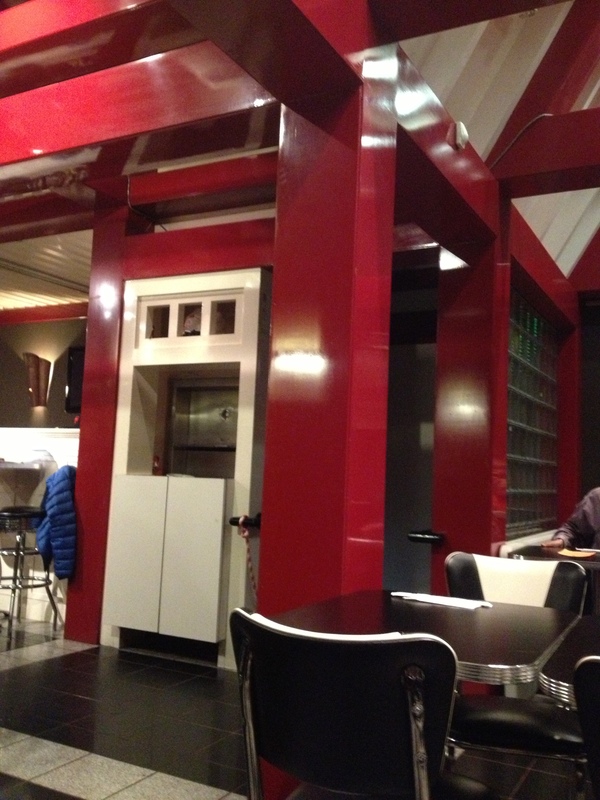 The interior of the restaurant was lacquer red, shiny and there were silver, black seating. Most of the seats in the restaurants were occupied with solo diners and couples. There was only one server and cook. Simple, but effective operation. 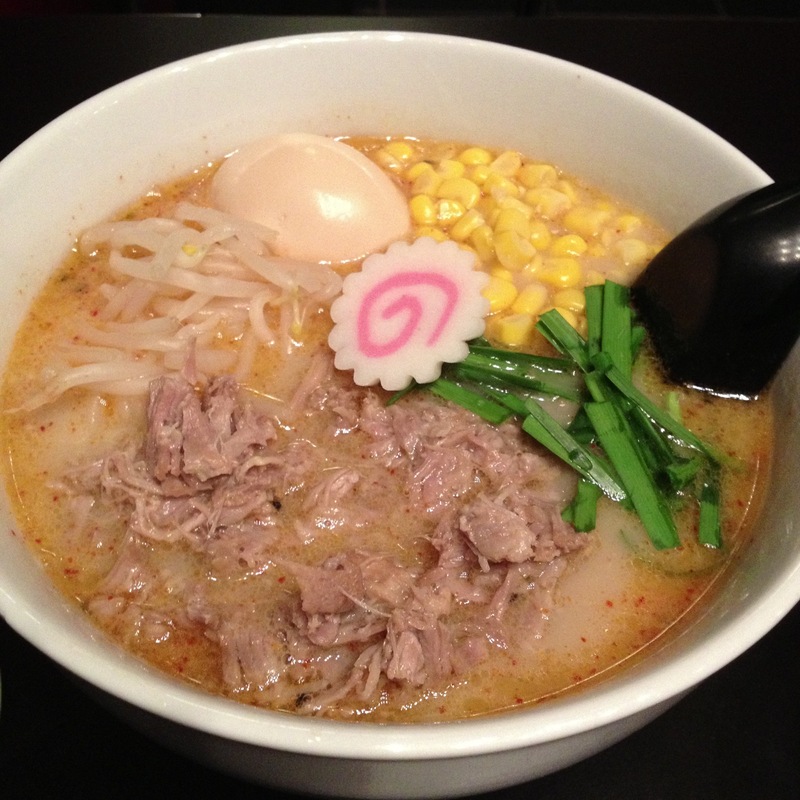 The Tonkotsu Ramen comes pork broth and Shoyu soy sauce flavor at $10 each. There was two types of cold ramen and all ramen comes with pork meat, soft boiled egg, kikurage mushroom, bean sprouts, fish cake and green onions. We ordered the Sapporo-style Miso Ramen in white miso and Marin Sun Farms’ chicken broth came with pork shreds, corn, bean srpouts, egg, green onion, at $10 with $5 Scout Mob discount = $5. Such a great deal.